Playground Games has announced that a new update for Forza Horizon 4 Series 5 will bring new cars and a brand new horizon story. Coming on January 15th, Tuesday, Forza Horizon 4 Series 5 update will include some of the most requested features from the Forza Community. 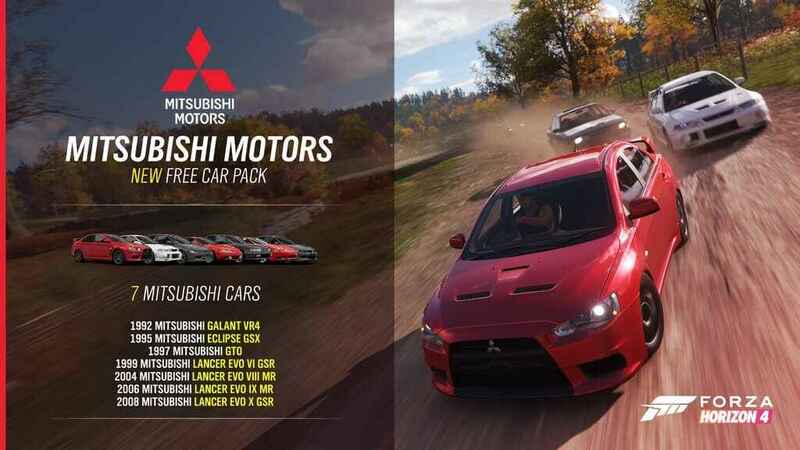 The new contents coming are the cars from most classic Mitsubishi cars, Horizon Story: Isha’s Taxis, and more free-for-all adventures. While these updates are all good, the main highlight that caught our attention is the epic classic cars from Mitsubishi. The good news is that these cars are free for everyone. 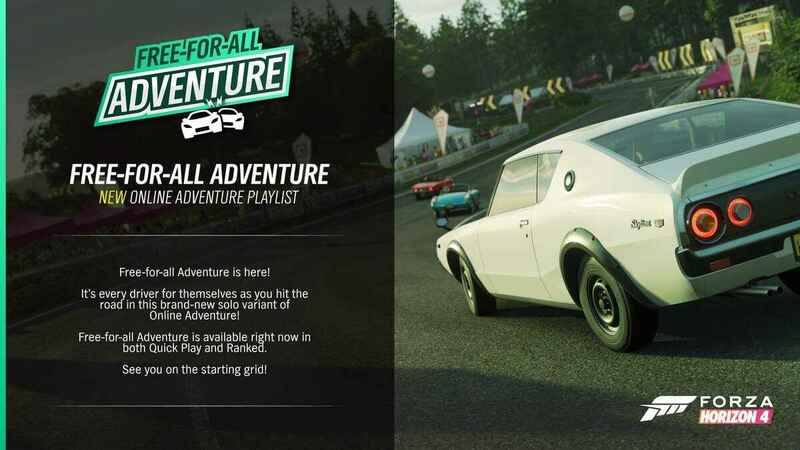 Once the update rolls out, players will be able to unlock 7 free cars from their garage. This includes the 1995 Mitsubishi Eclipse GSX and 2008 Lancer Evo GSR. 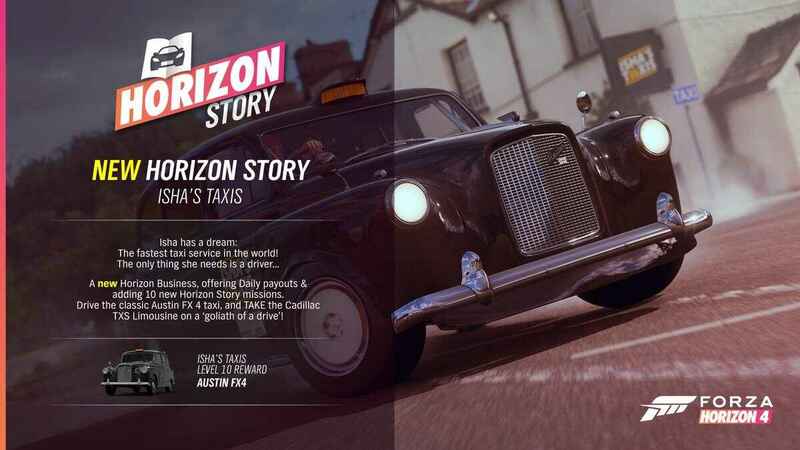 For the Horizon Story, Isha’s Taxis is the featured story for this update. It will bring a new Horizon Bussiness that will provide players a daily payout. There will be 10 brand new story missions on this update and once players reached the final level, the luxurious Austin FX will be the reward. Last but not least is the all-new free-for-all adventure. This is a brand new online mode that will allow players to play for themselves. Why it’s new? Because it’s the first solo online mode that players can play both quick play and ranked modes. Want to be the greatest driver on the horizon? This update is for you.